This term we will be starting the term looking at the story of Jack and the Beanstalk and being able to write our own versions. 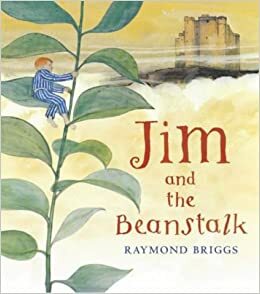 We will then be looking at the story Jim and the Beanstalk by Raymond Briggs for the rest of the term. Jim and the Beanstalk is the alternative version of Jack and the Beanstalk, where Jim, meets a giant and learns how to help him. This term in Science our topic is Plants. Children will be learning about different types of plants and the different parts of a plant. We will be discovering what a plant needs to live and how they grow from a seed to a mature living plant. In Maths this term, we will be starting to learn about multiplication, division and fractions. We will also be looking at shape and revising our knowledge of 2D shapes and symmetry, as well as exploring position, direction and movement. We will then explore measurement, as this is a great link to our class book Jim and the Beanstalk. In Art this term we will be exploring the work of Georgia O'Keeffe. We will use her work to inspire our sketching and painting to create our own plant themed collage. This term in PSHE, we are learning about Healthy Me. We will be looking at healthy eating, how to stay healthy and learning a range of games to play on the playground to keep us active. This term in P.E we will be continuing our games sessions and focusing on improving our ball skills.